Julius LeBlanc Stewart (September 6, 1855, Philadelphia, Pennsylvania - January 5, 1919, Paris, France), was an American artist who spent his career in Paris. 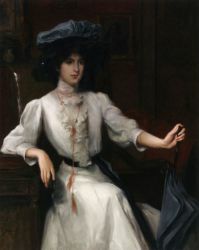 A contemporary of fellow expatriate painter John Singer Sargent, Stewart was nicknamed "the Parisian from Philadelphia." 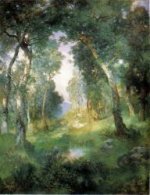 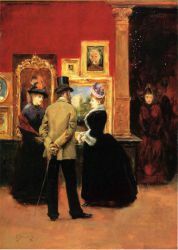 His father, the sugar millionaire William Hood Stewart, moved the family to Paris in 1865, and became a distinguished art collector and an early patron of Fortuny and the Barbizon artists. 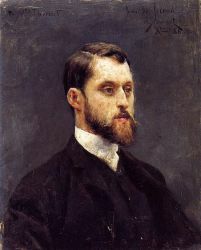 Julius studied under Eduardo Zamacois as a teenager, under Jean-Léon Gérôme at the École des Beaux Arts, and later was a pupil of Raymondo de Madrazo. 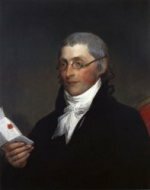 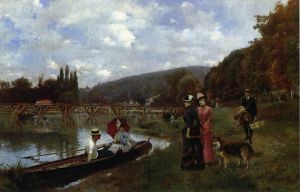 Stewart's family wealth enabled him to live a lush expatriate life and paint what he pleased, often large-scaled group portraits. 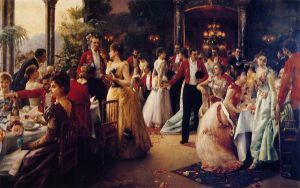 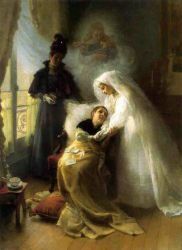 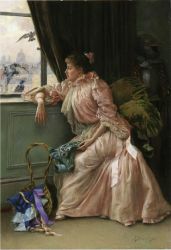 The first of these, After the Wedding (1880), showed the artist's brother Charles and his bride Mae, daughter of financeer Anthony J. Drexel, leaving for their honeymoon. 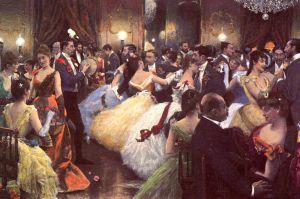 Subsequent group portraits depicted his friends — including actresses, celebrities and aristocrats — often with a self-portrait somewhere in the crowd. 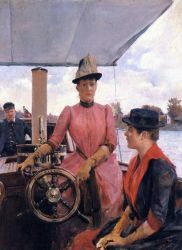 Yachting on the Mediterranean (1896). 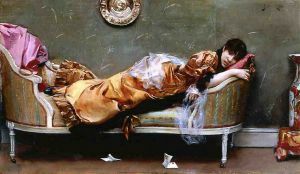 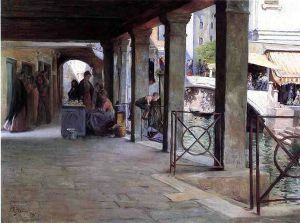 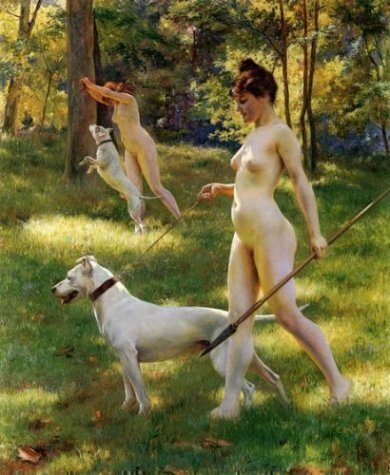 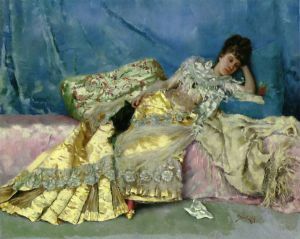 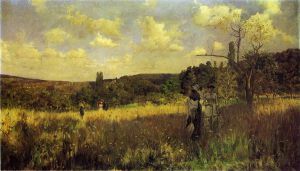 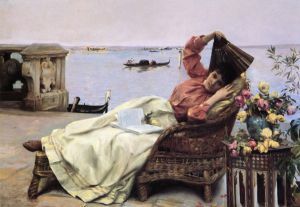 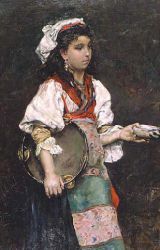 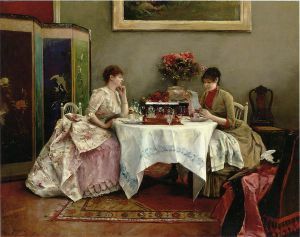 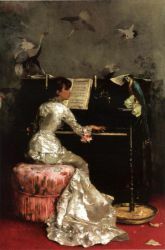 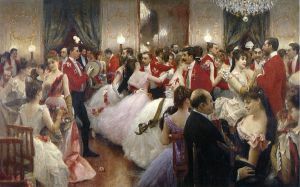 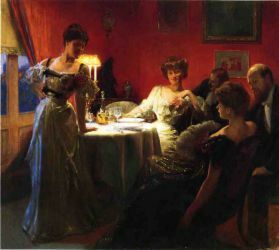 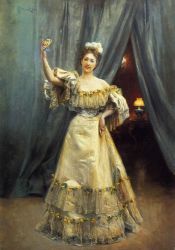 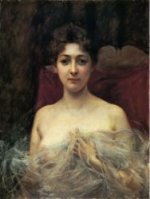 Sold in 2005 for US$2,312,000.He exhibited regularly at the Paris Salon from 1878 into the early 20th century, and help organize the Americans in Paris section of the 1894 Salon. 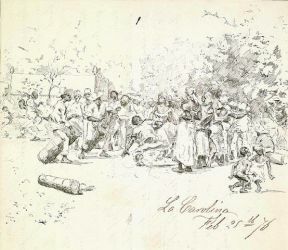 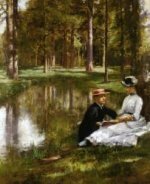 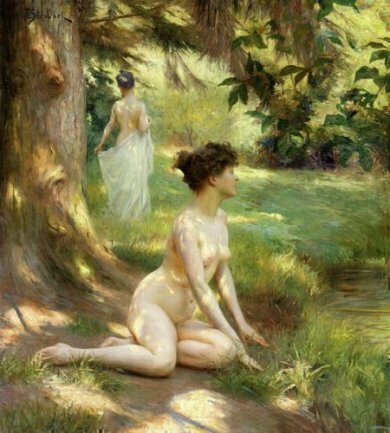 The Baptism (1892), which reportedly depicted a gathering of the Vanderbilt family, was shown at the 1893 Chicago World Columbian Exposition, and received acclaim at the 1895 Berlin International Exposition. 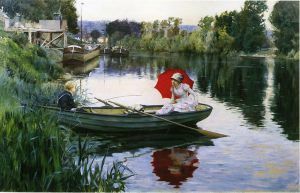 He painted a series of sailing pictures aboard James Gordon Bennett Jr.'s yacht Namouna. 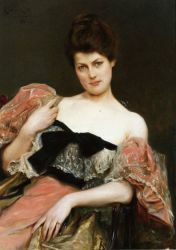 The most accomplished of these, On the Yacht "Namouna", Venice (1890), showed a sailing party on deck and included a portrait of the actress Lillie Langtry. 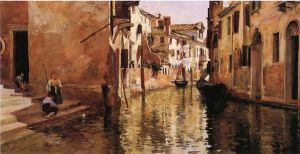 Another, Yachting on the Mediterranean (1896), set a record price for the artist, selling in 2005 for US$2,312,000. 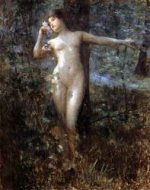 Late in life, he turned to religious subjects, but Stewart is best remembered for his Belle Époque society portraits and sensuous nudes.